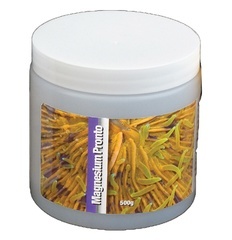 is a fast-dissolving blend of anhydrous magnesium chloride and anhydrous magnesium sulfate that makes it easy and economical to rapidly raise the magnesium ion concentration in aquariums. 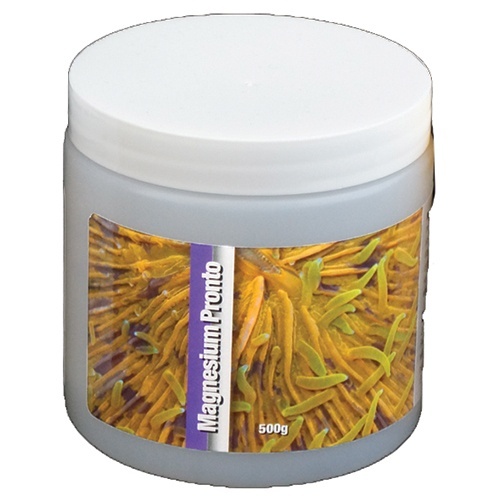 Supplemental magnesium is often required for reef aquariums because corals, clams, snails, tube worms, and calcareous algae extract it from the water. Packaged in 250g, 500g, and 1 kg jars. Bulk sizes also available.